In case you haven't noticed, I'm having a bit of a roll on comfy, fashionable, public-acceptable sweaters. 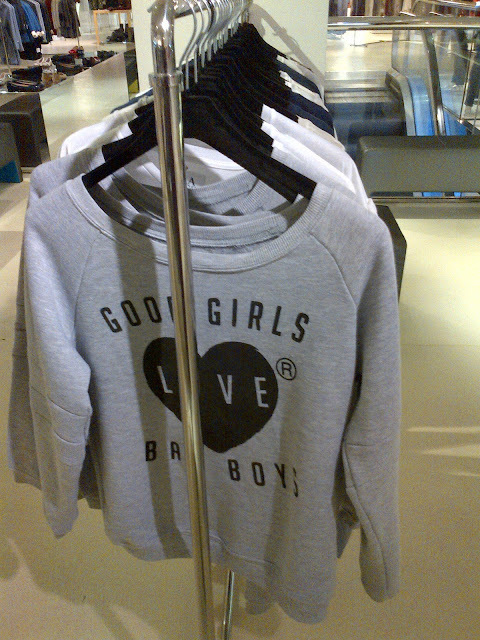 I spotted this one on Kelly Brook a while ago and have finally found it, again on a shopping trip around London. Love Zoe Karssen's stuff, I didn't realise this was by her. I completely understand why Kelly has that big smile on her face too, the sweater feels like silk inside and is so comfortable. I really understand why people spend on sweaters, you wear them ALL the time and you need them to hold shape! Buy this one here for £95 at Matches.